Asia Infotech is a renowned firm in India known for offering state of the art technical services to companies operating in the engineering sectors. Over the years that they have been operating, they have served countless small and large companies in this country, thereby helping numerous clients to enjoy better financial returns as well as increased stronghold in the market. Among the various services offered by the experts of Asia Infotech, their mechanical design and drafting expertise have gained them maximum positive feedback. Asia Infotech is one of the most important providers of technical solutions in India known for offering reliable services to companies operating in the engineering fields. Originally established in the year 2009, Asia Infotech has worked already with various clients in India and has delivered them top notch technical support in a myriad of ways. Among the various services that are offered by the professionals at Asia Infotech, their superior quality mechanical design services have gained them the most positive feedback from their clients. Asia Infotech offers an extensive range of mechanical design and mechanical drafting services that are ideal for the development of HVAC systems in buildings as well as the design and development of other products. From mechanical 2D drafting and detailing, mechanical 3D modeling, Assembly and Part Modeling and high level CAD tasks, the professionals of Asia Infotech can present clients with varied services that can in turn reduce production costs and boost turnaround time. It is for such reasons that most product development firms choose to work with the experts at Asia Infotech. Asia Infotech, a leading name in India’s technical solutions industry, is known for delivering top of the line custom expertise to companies that help them to improve their production standards. 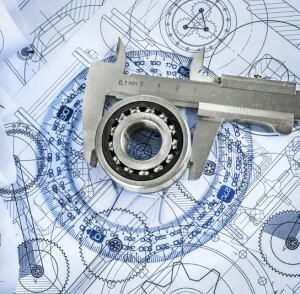 They are also known for delivering mechanical design services that are at par with the global standards. Their expertise in the field of engineering services has gained them widespread favorable reviews.